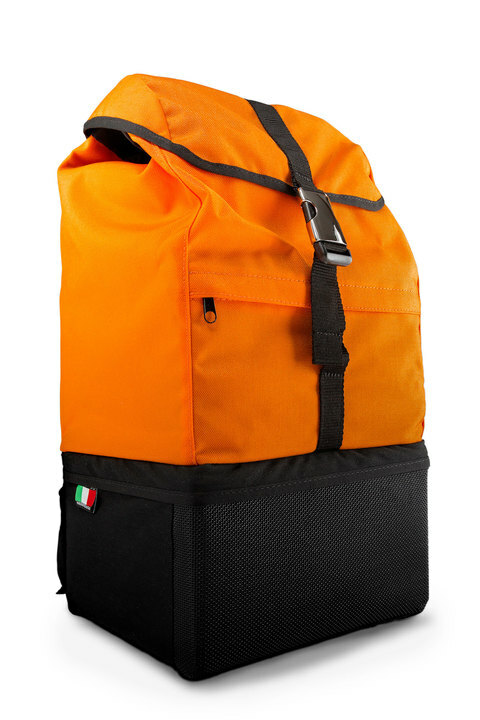 Partybag is the first range of wearable amplifiers, designed and fully made in Italy. 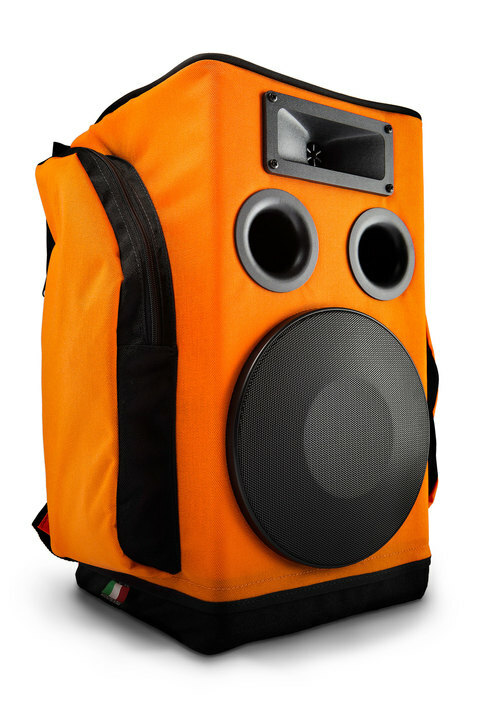 Carrying around a sound-system has never been so easy! 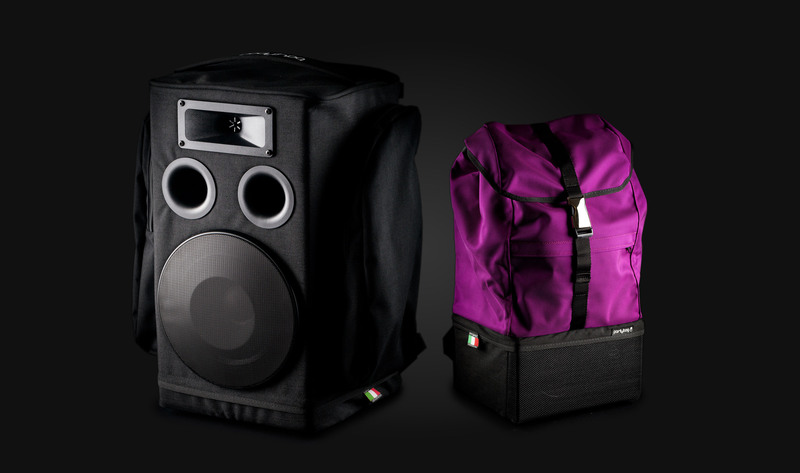 Partybag 6 is a wearable sound system powered by rechargeable battery: a perfect match between technology and design. The ideal amplifier to provide clear and powerful sound for events requiring the highest degree of lightness and portability. 2.4Kg for a Sound Pressure Level reaching 112dB. The perfect match between power and portability. A radio system on the move! 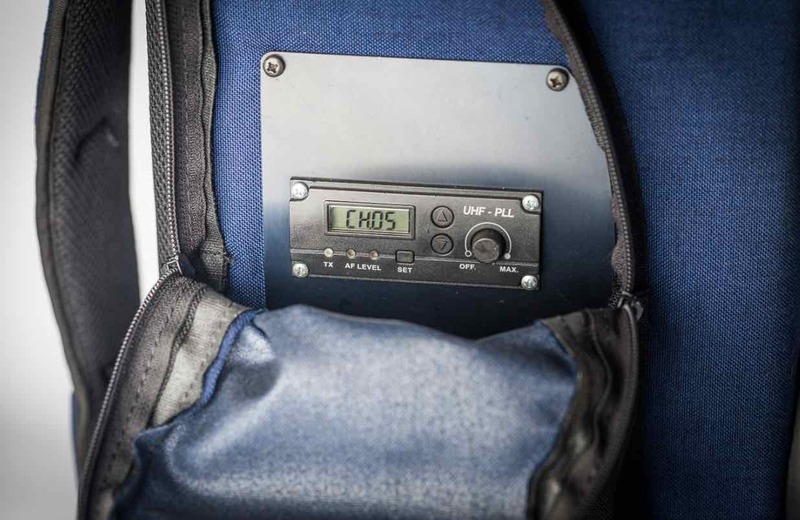 A professional system to share sound between Partybags and connect wireless microphones, integrated in a completely ergonomic backpack. The Midnight Runners team run with Partybag all around the globe. Sasha Boldachev can play his harp in the desert with Partybag. Lee England Jr. (AKA the Michael Jordan of the Violin) plays with Partybag. Use Partybag to promote your brand, like many business already does. Beppe celebrates his bachelor’s degree with Partybag.